The Navy will need a larger engineering directorate as it grows the fleet in coming years, to avoid problems faced in past ship classes like the Littoral Combat Ship and the Zumwalt guided missile destroyer stemming from the Navy being too hands-off on technical specifications. Vice Adm. Tom Moore, commander of Naval Sea Systems Command, said NAVSEA’s engineering directorate (SEA 05) had dropped to a fifth of its size from 1990 to 2005. Coupled with a shift away from Navy-dictated ship specifications and towards contractor-friendly “performance-based specifications,” four major ship classes designed in that period suffered from a lack of oversight. “In one of our many eras of acquisition reform – and at that time, the vogue in acquisition reform back in the mid-90s was, hey, industry knows best, just throw it over the fence to them and let them build the ships and we’ll be fine – there was the thought that, hey, the way you get ships built best was to turn them over to the people who know what they’re doing, and you’ll get the best ships and you’ll get the best cost,” he said Feb. 15 at the American Society of Naval Engineers’ Technologies, Systems and Ships conference. “So we kind of entered an era where we went from [production-based specifications], where the Navy was very specific about what we wanted on our ships, to an era of what we like to call performance-based specs, where we kind of told industry, this is kind of what we want. We provided some oversight, but we’re going to leave the specifics up to you. And so a completely different mindset. “So as a result of that we moved away from (general) specs, we really got out of the gen specs business and the notion was it was too much oversight and too much telling industry how to do their business. So we started transitioning over to what we call American Bureau of Shipping naval vessel rules. … Much like performance-based specs, where the contractor had wide latitude, the naval vessel rules were not nearly … as rigidly specified as what we had done in the past. Now, both those cases have pros and cons associated with them, and as I said the thinking at the time was by doing this, in the era of acquisition reform, this would get our costs down,” Moore continued. After these four ship classes entered the fleet and the Navy realized the problems that stemmed from the performance-based standards, NAVSEA in 2012 moved away from the naval vessel rules and to a new Naval Combatant Design Specifications, which more closely resembled the old general specifications. In addition to reverting to a more rigid specification system, Moore said NAVSEA is building up its engineering workforce to resume a proper level of oversight. Specifically, in SEA 05, where there had been 1,292 engineers in 1990 and only 251 in 2005, Moore said he’s hiring. SEA 05 is up to 568 today and expects to reach 750 engineers by 2025. He said that technical excellence and oversight would be important as the Navy designs and fields new ship classes in the coming years. Interestingly, of the ship classes Moore identified as suffering from a lack of technical oversight during the performance-based specifications phase – LCS, the Zumwalt-class destroyer (DDG-1000), San Antonio-class amphibious transport dock (LPD-17) and Ford-class carrier (CVN-78), in order of most to least affected by performance-based specs – three of the four will be used as the basis for future ship classes. The LCS will soon transition to the frigate, an upgunned and uparmored multimission version of one or both LCS variants. 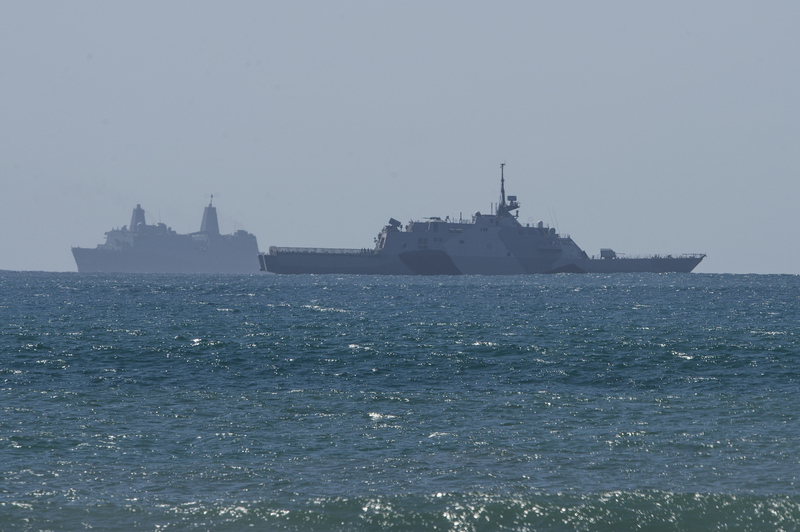 The LPD-17 design is the basis for the upcoming LX(R) amphibious dock landing ship replacement. 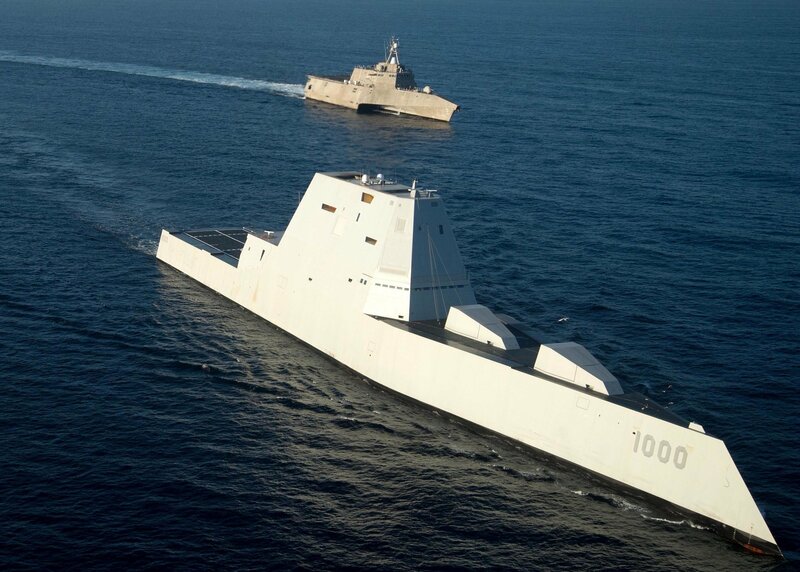 And lessons learned from DDG-1000 are expected to inform the Future Surface Combatant family of systems. 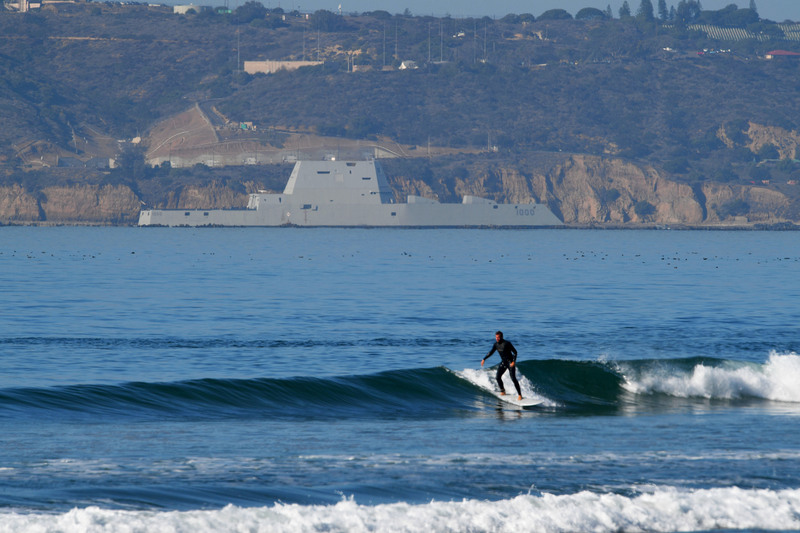 The guided-missile destroyer USS Zumwalt (DDG 1000) transits the San Diego channel on its way to her new homeport at Naval Base San Diego on Dec. 8, 2016. US Navy photo. DDG-1000 program manager Capt. Kevin Smith told USNI News on Feb. 16 at the same conference that turning the program over to the contractor to simply meet a performance requirement led to “unique solutions” in components that otherwise could have been common with other ship classes, complicating the sustainment of the ship class. “So one of the challenges with a three-ship class is you have some systems out there like the Advanced Gun System. We have a steering gear that’s revolutionary but nothing else exists like this in the universe,” Smith said. “So although it meets the requirements well, from a sustainment perspective, that’s one thing I think that the Navy as a whole will have to take a look at. There’s commonality and there’s NAVSEA codes that do this, but that’s one of the things I think is a lesson learned. We are going to have support mechanisms to support this, but when we have a three-ship class, what I’m hoping is a lot of these key technologies will get leveraged for Future Surface Combatant or other designs that the Navy is looking at” so as to avoid having to sustain these systems on only three ships for their full service life. Dumas noted that, whereas a shipbuilding program today – and DDG-1000 in its later stages – might rely on program of record acquisition resource managers to buy and integrate existing systems, the freedom afforded to the contractors led to an innovative but complex total ship systems engineering effort that relied on new interrelated systems instead of proven and sustainable ones.